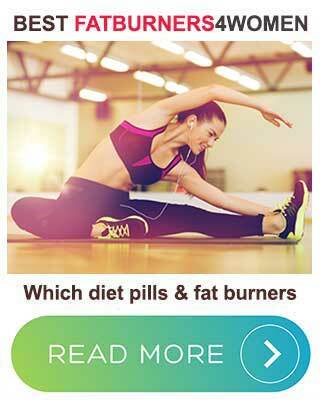 Hunger Buddy is an appetite suppressing diet pill brought to market by the Belgium-based company Omega Pharma. 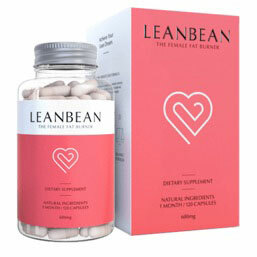 The only active ingredient is a proprietary blend called Redusure and the interesting thing is the company also markets a product called Specialist Appetite Reducer that is totally reliant on Redusure as well. It’s hard to fathom why Omega Pharma feels the need to produce two products that are essentially the same and we have to wonder if Specialist Appetite Reducer will be phased-out in the future in favour of Hunger Buddy. Anyway read our review and decide for yourself. What is XLS Medical Hunger Buddy and How Does it Work? 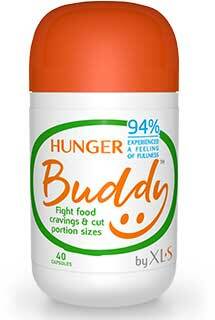 As with any other appetite suppressing diet pill, Hunger Buddy is designed to reduce feelings of hunger. If it can do what it’s supposed to do, people using the product will no longer be tormented by food cravings and will find it easier to stick to a calorie controlled diet. If the resulting reduction in food intake causes the body to experience a lack of calories, the body will be forced to begin burning its stores of fat to release the calories that were stored there when the diet provided more calories than were needed. Each Hunger Buddy capsule provides an unspecified amount of Redusure. Redusure is a trademarked ingredient distributed by InQpharm Europe. It’s unclear what else it contains, but the main active component is konjac. Konjac extract is normally referred to as glucomannan. It’s a water-soluble fibre that is capable of absorbing vast amounts of liquid and the resulting hydration process produces a gelatinous substance that fills the stomach and creates a feeling of satiety. The appetite suppressing ability of konjac has been well researched and there is an impressive amount of data that shows it works. It’s use as an appetite suppressant has also been endorsed by the European Food Safety Authority (EFSA), but experts at the EFSA point out the data collected from studies suggests konjac will only work if 3×1g doses are taken each day. Unfortunately, the XLS Medical Hunger Buddy marketing material fails to make it clear how much Redusure is provided per dose. If the amount is insufficient, or the konjac content is overly diluted with other compounds, Hunger Buddy may not be as diet friendly as the name makes it sound. Usage Instructions – Two capsules are required, with a glass of water, 30 minutes before main meals. If desired, it’s permissible to take one or two capsules between meals, but it’s important not to exceed the maximum dose of nine capsules per day. Users are also advised to drink at least two litres of water throughout the day. Women are advised not to use Hunger Buddy if they are pregnant or breastfeeding. It’s also not recommended for anyone whose BMI (Body Mass Index) is below 18.5. 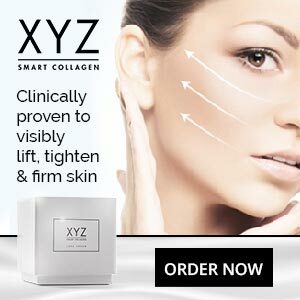 People who have existing health issues should check with their GP before using this product. The same advice is offered to anyone who is using medication or following a low-iodine diet plan. You can buy Hunger Buddy via Amazon UK and it’s also possible to obtain it in-store or online from Superdrug and Boots. Customers who buy from Superdrug or Boots can expect to pay just under £10 per bottle. Amazon is cheaper, at £6.99, but potential customers need to be aware each bottle only contains 40 capsules. That means anyone taking the maximum dose of 9 capsules per day will only get 4 1/2 days of use from each bottle. Even at a dose of 6 capsules per day, a bottle will barely be good for a full week, so Hunger Buddy is not going to be as cheap to use as it seems. Hunger Buddy is a diet pill that provides konjac and konjac is a good appetite suppressant. However, it is unclear how much konjac the product provides and the fact that some customers state the capsules failed to control their hunger could suggest the inclusion rate is too low. It may also indicate they failed to take the capsules with sufficient water because it has to be remembered some users state the product worked well for them. Were guessing a lack of water was the problem, but hunger control is only one of several tools that can help dieters to get to work on their fat and there are other options that have more to offer.